K-9 Piper is a 7 year-old border collie. 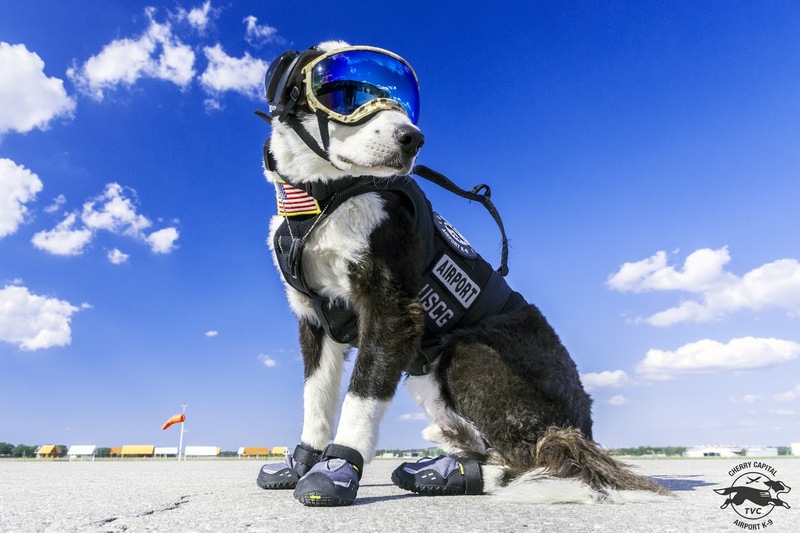 Wearing full protective gear, Piper works at the Cherry Capital Airport in Traverse City, Michigan alongside his handler Brian Edwards as part of the airport’s K-9 wildlife control team. Piper’s breed makes him perfectly suited to chase birds and other wildlife off of runways and taxiways. As of March 3, 2016, the team’s website reports that Piper has chased 2,450 large species birds, like loons and owls, that could potentially damage aircraft. He has also patrolled 597 miles and logged 2,641 hours—all on a volunteer basis.